From the murky swamps of Louisiana to the misty hills of Appalachia, the American South is enshrouded by a mystical element that rouses the senses and kindles the imagination. This mystical element has for years inspired tales of ghosts haunting old houses, creatures roaming dark forests, and headless figures waving lanterns along train tracks. Every little town and rural community south of the Mason-Dixon, it seems, has a resident ghost and a dozen stories to tell. These stories will never go away or become outdated. They, along with the landscape of our region, are permanently etched into our human experience. In this chilling collection of ghostly tales from the land of moonshine and magnolias, Pat Fitzhugh artfully recounts Dixie’s most terrifying legends and the disturbing history behind them. From a ghost-infested bed and breakfast in Tennessee to a cursed Civil War battlefield in Georgia, and from a rural spook light in Arkansas to a creepy mansion in the Appalachians, More Ghostly Cries From Dixie is sure to intrigue, captivate, and fascinate readers of all persuasions. Whether you are a believer or a skeptic, you will be left wondering about–or perhaps admitting to for the first time–experiences of your own that you can’t explain. More Ghostly Cries From Dixie follows in the footsteps of its predecessor, Ghostly Cries From Dixie, which was published in 2009. The author’s approach remains the same–to dissect the stories, research the characters and events, and compile his unique version of each story. The history behind a haunting is often more frightening than the haunting itself; the living do more harm than the dead do. Come on a terrifying journey down the road less traveled, where ghosts, spirits, and scepters stand vigilant watch over the dismal swamps, decrepit houses, and forgotten graveyards of Dixie. But whatever you do, don’t look behind you. 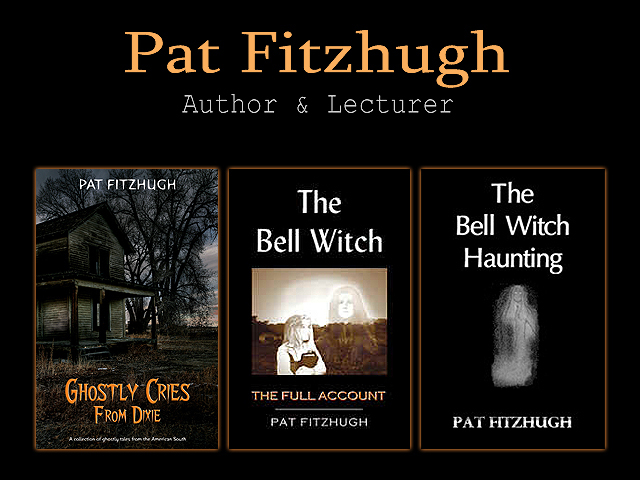 Posted in Books, Forthcoming Titles, Ghosts, Historical Fiction, legends, Paranormal, Writing and tagged amwriting, books, demons, dixie, folklore, ghost stories, ghosts, haunted, hauntings, History, legends, paranormal, witches on November 28, 2014 by Pat Fitzhugh.